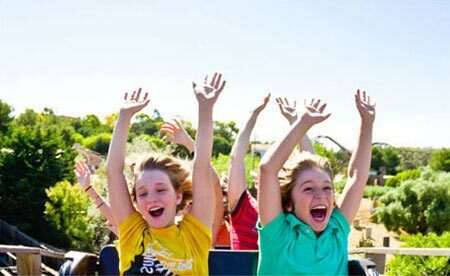 Experience the best of Disneyland® Paris by pre-purchasing the 4-Day/2 Parks Disneyland® Paris Hopper Ticket. The 4-Day/2 Parks Disneyland® Paris Hopper Ticket gives you access to both Disneyland® Park and Walt Disney Studios® Park, with the ability to hop between both Disney Paris parks as many times as you like for the duration of the ticket. Your 4-Day/2 Parks Disneyland® Paris Hopper Souvenir Ticket will be mailed to you in the post. Take your tickets with you to Paris and on arrival at Disneyland, simply scan the barcode at the gate for admission to the parks. Your 4-Day/2 Parks Disneyland® Paris Hopper Ticket will be mailed to you in the post. Upon arrival at Disneyland Paris, simply scan the barcode at the gate for admission to the parks. 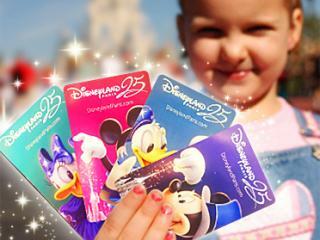 All Disneyland® Resort Paris Tickets include the fantastic Standard FASTPASS®, a free, time-saving service that shortens your wait at the most popular attractions in Disneyland® Park and Walt Disney Studios® Park. 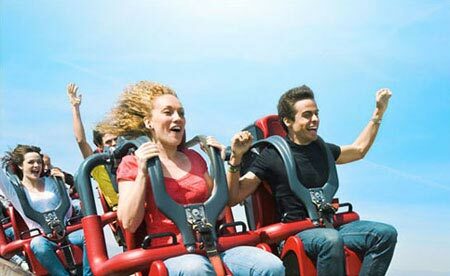 The fast pass is operated on a rolling basis so you can only ever have one fast pass at a time. This is done in the park and cannot be done in advance. To get your Standard FASTPASS®, approach the ride you would like and you will see a Standard FASTPASS® kiosk if the ride participates in Standard FASTPASS®– normally next to the main queue. There will be a time displayed above the kiosk and this indicates the time you can return to join the Standard FASTPASS® queue. You need to scan your tickets at the ticket machine and you will be given a Standard FASTPASS® ticket. You then return to the Standard FASTPASS® queue at the time indicated. Fast passes are subject to availability. These tickets do not include Special Events and are not valid for use to access Disney's Halloween Party or New Year's Eve at Disneyland® Paris, these are seperately ticketed events.